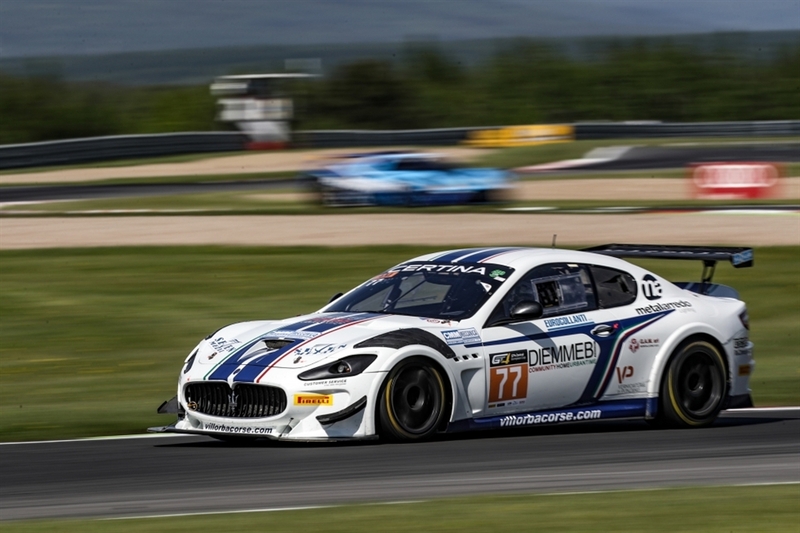 In Most the Italian team stands out with the Maserati GranTurismo in the new international series. Starting from first row in race 1, Fascicolo took the lead. After the pit stop Dall'Antonia in the fight for victory suffered a collision ending tenth. In race 2 excellent start by Dall'Antonia who climbed on the virtual podium and was then in a tight fight before handing the wheel to Fascicolo who finishes seventh, second in AM class. 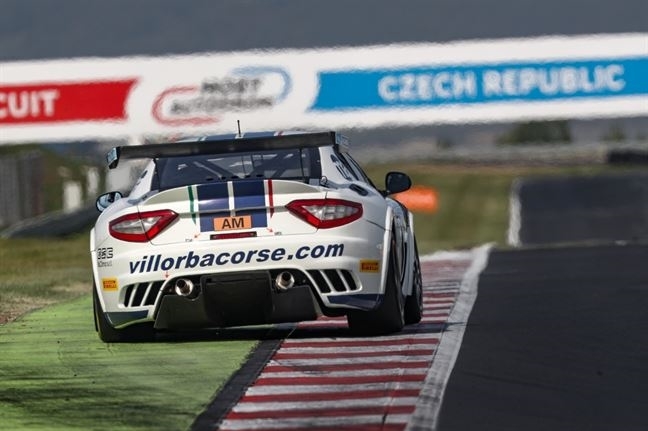 A good start for Villorba Corse at the GT4 Central European Cup in Most (Czech Republic). The team part of SVC The Motorsport Group confirms its commitment to the international series by entering a Maserati GranTurismo MC in the AM class. The Venetians Giuseppe Fascicolo and Romy Dall'Antonia were immediately at the forefront; in the first qualifying session (which determines the starting grid of race 1), with the pole lost by less than 4 hundreths after being long in command. The second fastest time allowed them to start race 1 on Saturday from the front row. Fascicolo, at the wheel of the Italian supercar in the early stages of the race, took the lead taking advantage of a mistake by the leader and retained the advantage until the pit-stop when he handed his seat to Dall'Antonia. Back in the race, his team-mate found himself in a fight with four other drivers, one of whom touched him causing him to fall down to sixth place, second of AM on the final goal. A subsequent 30" penalty relegated the crew in tenth place, fourth of AM. In the second qualifying session, from which the starting order of race 2 arises, Romy Dell'Antonia was seventh fastest. A formidable start by the driver from Treviso allowed him to end the first lap in third position, before starting a close fight with his rivals. Giuseppe Fascicolo, after taking the wheel during the mandatory pit-stop, managed well the second part of the race closing seventh, second in AM. Raimondo Amadio, head of SVC The Motorsport Group, said: “We return from the race in Most with some important points for the championship. It's a shame for yesterday's race and for a steady first place which vanished due to a trivial mistake by Dall'Antonia two laps from the end. This also is racing, now we must look ahead and immediately regain concentration without making other mistakes which, in a series with such a tight schedule, can cost us very dear”. GT4 Central European Cup 2018 Calendar: 27-29 April - Most (Czech Republic); 19-20 May - Red Bull Ring (Austria); 30 June-1 July - Nürburgring (Germany); 18-19 August - Slovakia Ring (Slovakia); 6-7 October Zandvoort (Netherlands).